In inner-city Sydney, Melbourne and Brisbane! Enjoy iconic Sydney Harbour Bridge views. Less than 5km from Sydney CBD. Surry Hills has something for everyone, combining shopping, arts and culture, cafes, restaurants and an array of beautiful parklands including Prince Alfred and Moore Park. Clustered around the thoroughfare of Crown Street, the suburb has a buzzing village atmosphere, with all the conveniences of inner city living. Sydney CDB is only a walk away, or residents can catch the train from Central Station and be in the heart of the city in minutes. The apartment is ideally located in Southbank, a major cultural hub in Melbourne and home to a buzzing promenade of cafes, shops, restaurants and public art, all within walking distance. Enjoy spectacular Yarra River and city views. First class facilities include pool, gym, tennis court and 24 hour concierge. Southbank, Melbourne’s waterfront hub, offers a tranquil retreat from the hustle and bustle of the city, with the Southbank Promenade stretching along the south side of the Yarra River. The promenade is home to an abundance of cafes, shops and restaurants as well as public art and new hotels and apartments. Southbank is also home to the Melbourne Arts Centre, Concert Hall, Melbourne Recital Centre, National Gallery of Victoria, the Malthouse Theatre, the Australian Centre for Contemporary Art and Victorian College of the Arts. 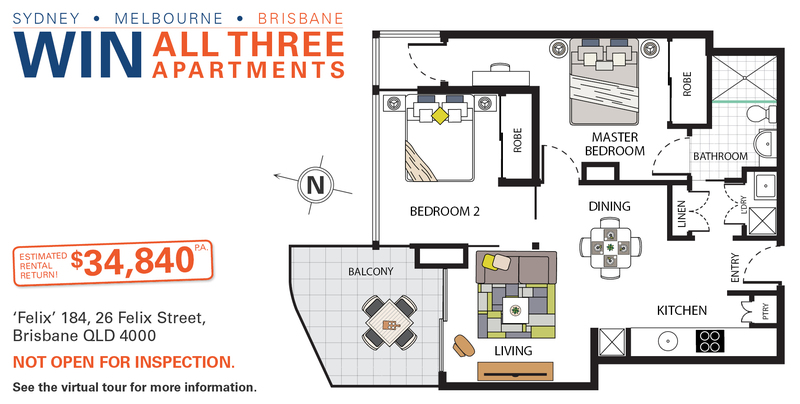 Boasting panoramic views of the iconic Story Bridge and Brisbane river. Resort style facilities include heated lap pool, spa, sauna, gym and BBQ area. 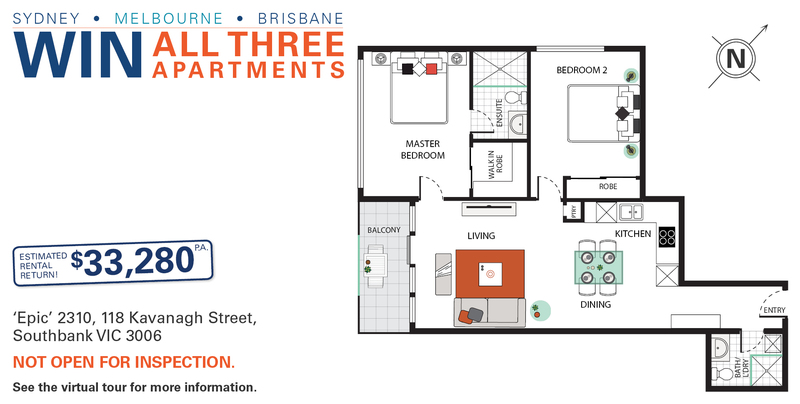 Brisbane is known for its warm climate and laid back, cosmopolitan lifestyle. The city offers something for everyone with a range of shopping, dining, sporting and entertainment options. The cultural hub of South Bank includes the Queensland Performing Arts Centre and the Queensland Art Gallery as well as many other theatres, cinemas, shops cafes and restaurants. The area is also home to The Parklands which features a waterpark, stunning natural spaces and public art installations.